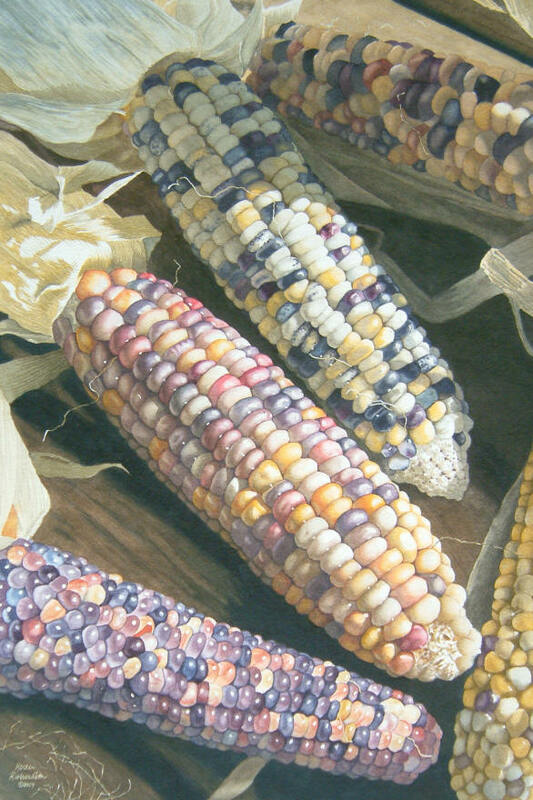 The Deep River Public Library is pleased to present an exhibition of watercolour paintings this fall by Karen (Wert) Richardson, who attended school in Deep River over thirty years ago. Although she has been a professional artist since 1986, this show and sale titled ‘Full Circle’ will be her first solo exhibition in the Ottawa Valley and will run from Sept. 21 to Oct. 4, 2009.Karen was featured in an article in the Ottawa Valley News December 2008 Newsletter which brought her to the attention of the DRLAC. The artist is looking forward to meeting former classmates, teachers and neighbours as well as the general public at the Opening Reception in the Deep River Library Program Room, 55 Ridge Rd., on Monday, Sept 21 from 7 to 9 pm, and at the close of the show on Sunday, Oct. 4 from 2 to 5 pm.Richardson’s mother, Aleen Wert, is flying out from British Columbia to attend both events and hopes to meet many old friends there. 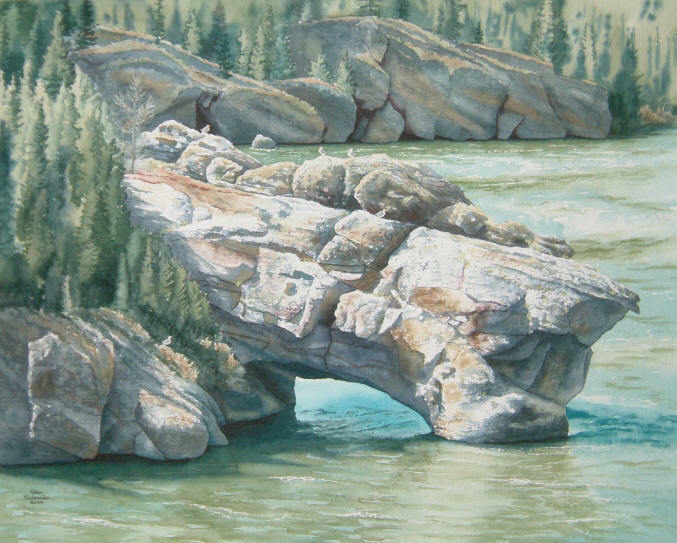 Having grown up on the outskirts of Chalk River, with acres of untamed forest just across the road, Richardson is drawn to paint rugged landscapes and close-up details of the natural world. Her interests include RV touring, hiking, motorcycling, snowmobiling, gardening and photography; all of which offer unique inspiration for her artwork. “I credit much of my artistic accomplishment to the marvelous art instruction I received at schools in Deep River“, said the artist recently. “Mrs. Herriot’s exceptional art classes at Mackenzie High especially provided me with a solid and broad arts foundation.” As an adult, Richardson honed her watercolour skills at numerous workshops taught by regional and international artists. She paints in a strikingly realistic style and over four hundred of her paintings are enjoyed in private and corporate art collections in nineteen countries. homes, cottages, farms and commercial buildings. Recognized for her volunteer work in the local community as well as her artistic ability, she serves on the board of directors of Scugog Council for the Arts and on the executive of the Lake Scugog Spring Studio Tour. She designed her own web site, www.karenrichardson.ca , and keeps it updated with new paintings, classes and step-by-step painting demonstrations.